A key Medicare advisory panel wants Congress to pass legislation to withhold a portion of Medicare Advantage plan payments and not return it if the insurer's encounter data is incomplete or inaccurate. The Medicare Payment Advisory Commission, which passed the recommendation during its April meeting Thursday, wants Congress to direct the CMS to start withholding in 2021 and release standards and performance metrics that plans can meet to get it back. The recommendation comes as the CMS will use more encounter data to influence its payments to Medicare Advantage plans. The recommendation does not list a percentage that the agency should take from plan payments. Commission staff said that the CMS would make the standards and could first create generous standards that would make it easy for plans to get their money back. Over time the standards would get harder to meet. The withholding policy could be phased out totally over time if encounter data collection improves. 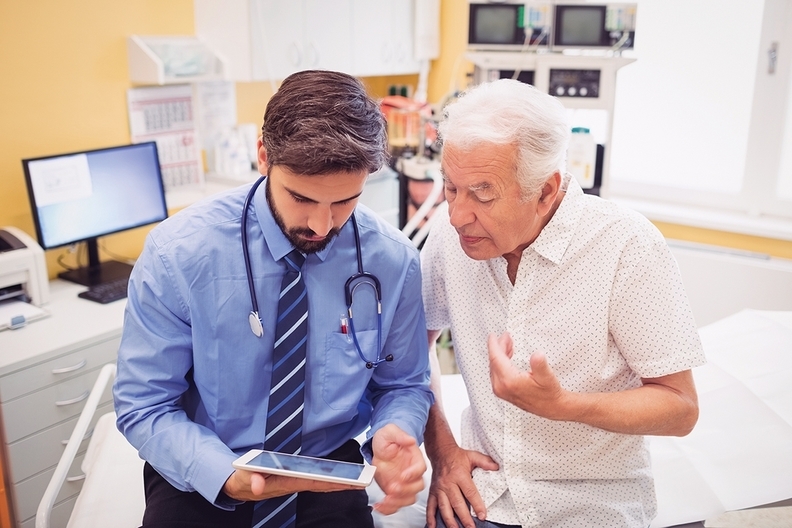 The recommendation seeks to address the panel's longstanding gripe with incomplete encounter data, which details a Medicare Advantage patient's health and can include data such as clinical diagnoses and treatments delivered. The commission believes encounter data that the CMS started collecting in 2012 could provide better oversight of Medicare Advantage. In addition to the payment withholding, the recommendation would allow Medicare Advantage organizations to voluntarily use a Medicare Administrative Contractor, which are private insurers that process medical claims for Medicare Part A and B, to collect encounter data. Under the recommendation, the healthcare provider would submit claims to the MAC, which would then forward the claim to Medicare Advantage plans for payment and to the CMS to include in the encounter data files. The MAC could be used if a plan has trouble meeting the payment withholding thresholds and metrics. Commission Member Karen DeSalvo, former national coordinator for health information technology, was the only "no" vote of the 19-member commission. She was concerned that the recommendation applies to all Medicare Advantage plans and not just ones with the worst encounter data records. "If one of my physician peers didn't submit data then would I have to change all of my processes," said DeSalvo, professor of medicine and population health at the Dell Medical School at the University of Texas, Austin. An analysis from MedPAC staff looked at 2015 encounter data files for all types of plans and compared them to reported enrollees in the CMS beneficiary enrollment database to determine if the data was complete. The analysis found that 90% of encounter data files for inpatient hospital stays matched the CMS database. However, only 46% of home health files and 49% of skilled nursing facility stays matched the database, meaning the remainder were incomplete or inaccurate. Insurance plans may already have a bigger incentive to improve their encounter data. The CMS finalized a rule on Monday that Medicare Advantage plan payments will be based on a higher percentage of encounter data starting in 2020. CMS Administrator Seema Verma told reporters on Monday that the agency has worked with plans to improve accuracy of the data. Currently the CMS calculates patient risk scores based on 25% of encounter data, and the rest based on the Risk Adjustment Processing System. However, the final rule for 2020 increases the weight of encounter data from 25% to 50%. Insurers have railed against any change because they say encounter data is too inaccurate to rely on for determining payments. The insurance lobbying group America's Health Insurance Plans said in comments to the CMS that the agency has failed to address complaints from the Government Accountability Office in 2014 and 2017 to ensure encounter data is complete and reliable. Major insurer Cigna complained in comments that the CMS could be using the transition to encounter data to cut payments to Medicare Advantage plans. However, the CMS gave plans a 2.53% pay raise for 2020, an increase from the 1.59% that it had floated in the proposed rule.